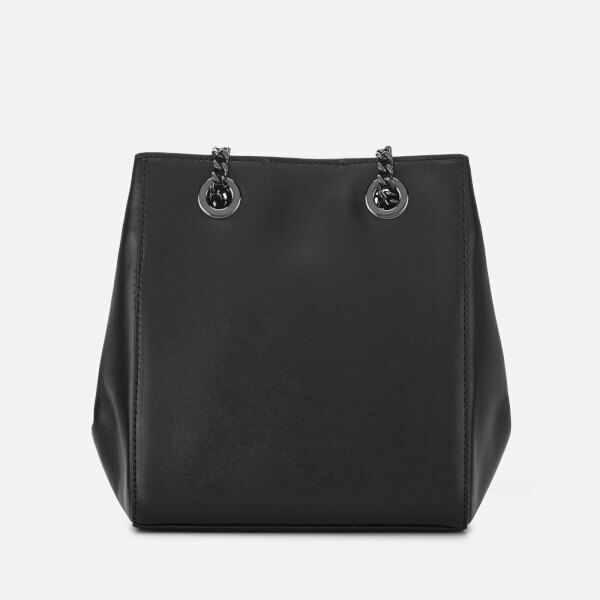 Crafted in smooth cow leather with gunmetal-tone metal accents, the women’s black ‘Signature’ bucket bag from Karl Lagerfeld features a cubic lined interior with a magnetic popper tab closure and slip pocket within. 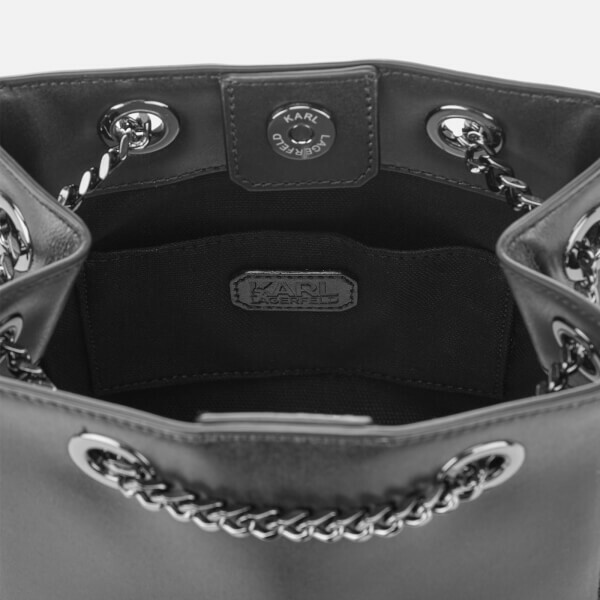 Suspended from an adjustable, curb chain-trimmed strap that meanders through several eyelets, compressing the sides and allowing for versatility in styling options. 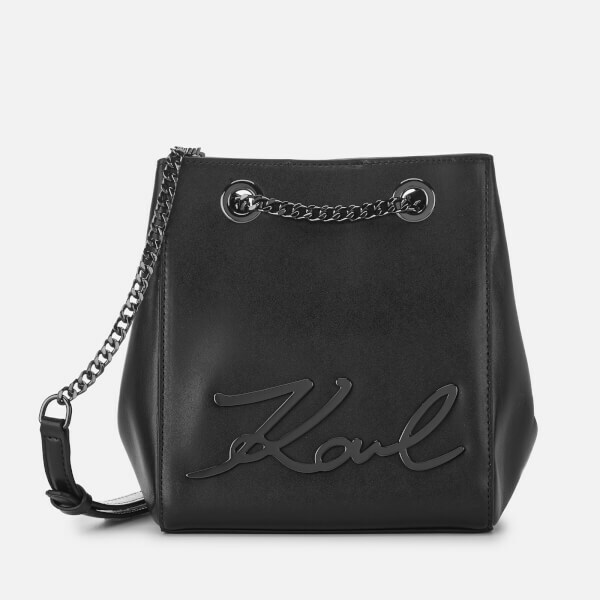 The iconic designer’s signature features at the front in appliqué metal.